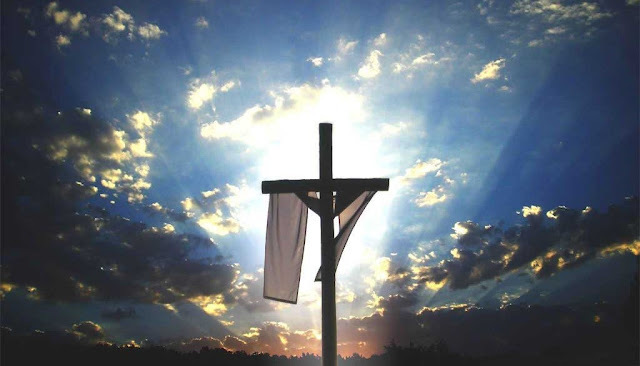 The Lenten season or Holy Week is a way of remembering the suffering and passion of Jesus, dying on the cross to save us and His resurrection on the third day, which is on Easter Sunday. Here in the Philippines, the Holy Week is a public holiday from Maundy Thursday to Easter Sunday. Usually, people go to their homes in the province to spend the Holy Week with their family. I, on the other hand, was all alone in the apartment. I wasn't able to get a ticket going home since the buses were already fully booked. It's probably one of the loneliest moments I've had in Los Baños. Also, my grandmother's condition is not good. She has lost appetite and is experiencing muscle atrophy. I went home two weeks ago to spend time and take care of her even for just a few days but this Holy Week, I wasn't by her side. She's in my prayers though. Always. This Holy Week is probably one of the loneliest but it's also one of moments where I really prayed hard, not for myself, but for my beloved grandmother. It has also given me time to reflect about life and to go back to what Jesus did for you and me. We can never repay what Jesus had done for us, dying on the cross to save us. But one thing we can do is to have a deeper relationship with him. P.S. Dear reader, may you include my grandmother, Luisa or Lola Loleng as I fondly call her, in your prayers.